James A. Heinrich, M.D., F.A.C.S. 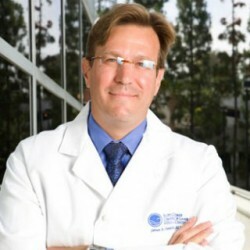 Dr. Heinrich received his Doctor of Medicine degree from Loma Linda University in 1988. The following year he completed his post-graduate internship and Surgery training at Loma Linda Medical Center. Dr. Heinrich completed four years in Otolaryngology-Head and Neck surgery at Loma Linda University Medical Center. 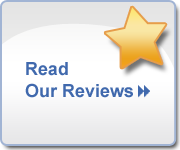 During his Head and Neck training, Dr. Heinrich developed a strong interest in plastic surgery of the face, head and neck. He added to his experience a one-year fellowship specializing in Facial Plastic and Reconstructive Surgery of the head and neck at the University of Illinois. In 1994, Dr. Heinrich returned to Loma Linda University and was appointed the Director of Facial Plastic and Reconstructive Surgery. In 1999 he was appointed as an Assistant Clinical Professor in the division of Otolaryngology, Head and Neck Surgery and taught facial plastic and reconstructive surgery techniques to residents in training. Dr. Heinrich specializes in revision rhinoplasty and is often called upon for complex rhinoplasty cases due to the intricate nature and meticulous command of surgical skills required. He routinely performs cosmetic and secondary rhinoplasties for reconstructive and functional purposes and helps patients set realistic and appropriate expectations. Dr. Heinrich did extensive training on laser technology and offers the most advanced laser procedures utilizing state-of-the-art lasers. Dr. Heinrich trains physicians both nationally and internationally on various procedures in the field of laser technology. He recently completed a clinical study comparing the efficacy of two new cutting-edge laser procedures and has been featured on the television program American Health Journal. Dr. Heinrich is a respected member of the American Academy of Facial Plastic and Reconstructive Surgery (AAFPRS) and currently serves as a member of their Public Information Committee. Dr. Heinrich worked extensively in the diagnosis, treatment and reconstruction of all types of skin cancer during his training and continues to utilize that expertise in his practice. He has a keen interest in not only treating skin cancer, but also utilizing varying modalities to prevent skin cancer. Dr. Heinrich resides in Laguna Niguel, California with his wife and four children.